The wines of Montalcino have come a long way over the past ten to fifteen years. 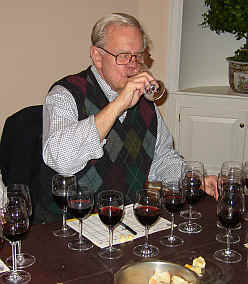 Several changes have helped elevate the quality of the wines, including clonal selection of the "Brunello" grape (said to be Sangiovese Grosso) and relaxation in the wood aging minimums required by law. 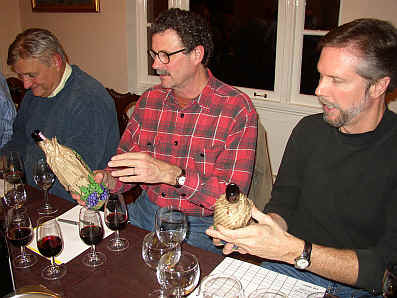 The wines of Montalcino used to be required to spend four years in wood to have the Brunello di Montalcino name. But it takes a really exceptional vintage to produce wines which can withstand that mandate. Over the last decade the law has been changed and now only two years in wood are required, along with one year in bottle. This is far more sensible. The 1997 growing season saw a loss of crop with early spring frosts. The summer was warm but not excessively so. The grapes matured to high levels of sugar and, owing to Montalcino's relatively high elevation (feet above sea level, not prices of the wines! 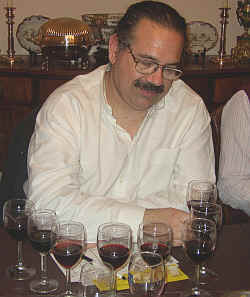 ), the grapes still retained ample acidity in many cases. 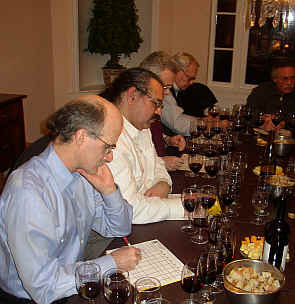 We assembled a set of eight wines from a variety of producers and conducted our monthly wine-tasting survey, hosted by Allan Anderson. This bottle was exhibiting dank, cellar smell aromas suggesting it was an "off" bottle, having been tainted by a bad cork. 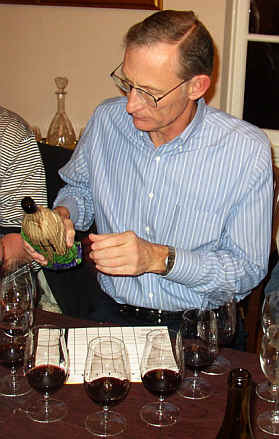 Naturally, this was the most costly wine of the tasting! 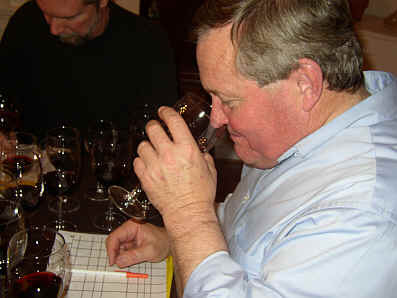 Interestingly, one person ranked it as their second favorite wine and only 7 or the 12 tasters placed it last. This wine displayed hints of eucalyptus notes and bright cherry fruit. It's a good example of Brunello di Montalcino which can be enjoyed now or over the next 3-5 years as the tannins are rather mild. One-and-a-half stars (on my three star scale, no stars being ordinary, three being classic and exceptional). The aromas recall violets and ripe cherries and are rather charming, but wait until you taste this! 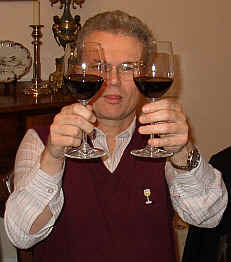 Casanova di Neri's Brunello is hugely well-structured and displays plenty of acidity and copious quantities of tannins. This is a monster and will require much patience before it arrives at a point of maturity. You're going to need a decade, at least! One-and-a-half stars. I enjoyed the mildly smoky notes on the nose of this cherryish Tuscan red. The same elements shine on the palate, with bright sour cherry fruit. The tannins suggest cellaring this for 3-8+ years. Good wine. One-and-a-half stars. 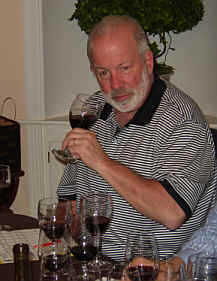 This wine displayed nice woodsy notes on the nose along with a hint of cocoa and some herbal tones. The balance is good on the palate with a bit of cherry fruit and mild tannins and, compared to many others, softer acidity. One star. The combination of fruit and wood on this wine is delightful. Cherry notes on the nose combine with a cedary quality. The tannins are balanced to the point where this is probably at its best over the next 3 to 5 years. One-and-a-half stars. I was enchanted by the fragrance of this wine. Lovely cherry fruit and a combination of cedar and cocoa from its maturation in wood. There's also a hint of tobacco on the palate. The tannins ought to allow this to mature nicely over the next five to ten+ years. Two-and-a-half stars. There are some notes of eucalyptus on the nose of this wine, which starts out quietly, but really blossomed over the course of the tasting. It struck me as a softer style of wine with good fruit but lower acidity than many of the others. Best over the next two to five years. One-and-a-half stars.